This home features a deluxe kitchen with large center island overlooking the family room, which opens onto the rear lanai. The kitchen features gorgeous 42'' tall cabinets, backsplash and tile flooring. Three bedrooms and an office space makes this home family friendly. This home has been designed with a neutral color scheme and the latest in cabinetry and flooring styles. Tray ceilings in the family, and owners suite give this home a distinctive, timeless style. 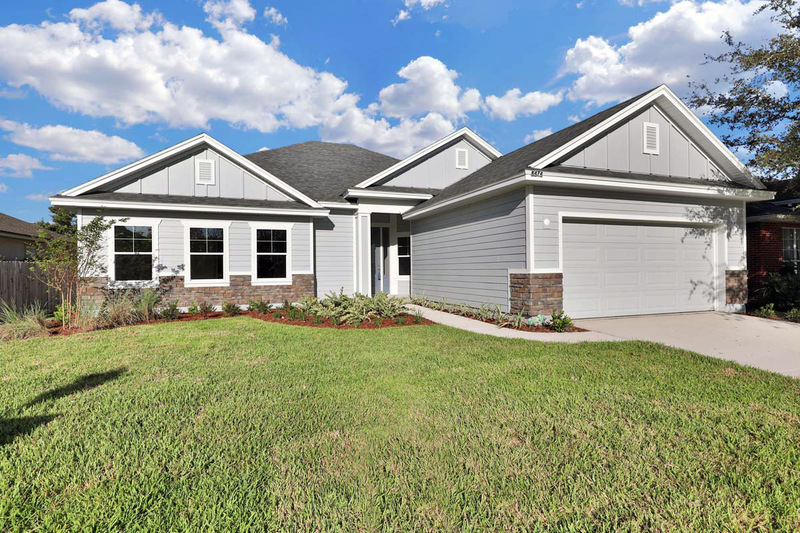 This is one of the last homes in Watermill — an established neighborhood with easy access to the shops, dining and conveniences of Oakleaf Plantation Shopping Center.